Ted was the only surviving puppy from our second Tarrangower litter which arrived in January 2010 - sire Gd Ch Stargang Krismas Knight (imp UK); dam Ch Tarrangower Tzatziki. 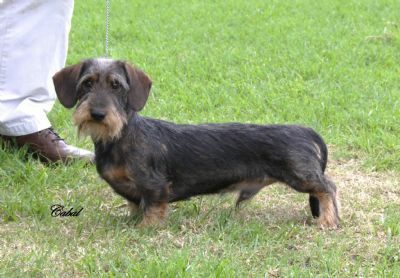 This fabulous little Dachshund is line bred to the stylish Eng Ch Stargang Bramble. He attained his title at just under 13 months. 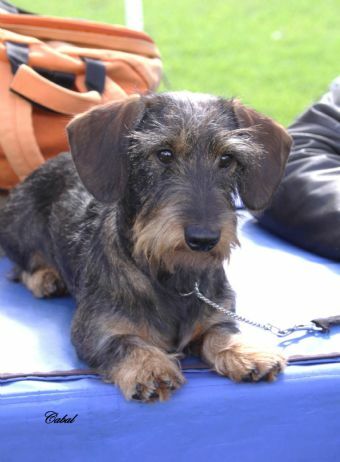 Subsequently, he has made his debut at the Earthdog Den at Erskine Park, earning his Earthdog Instinct Certificate title. 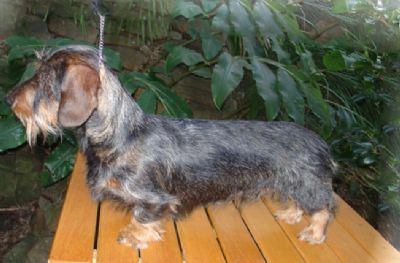 Ted has proved to be an outstanding stud dog, passing on his superb coat, head, front and temperament to his puppies which include nine champions to date - Grand Ch Uglee Sir Pepercorn, Ch Uglee Lady Nutmeg, Grand Ch Tarrangower Tyzack S.E., Ch Tarrangower Tylaris E.I.C., Ch Uglee Aphroditi, Ch Uglee Rosa Ballerina, Ch Uglee Rosa Polar Star, Ch Tarrangower Tequati and Ch Tarrangower Tequila. Ted has been certified PRA Cord 1 and Laforas disease clear.